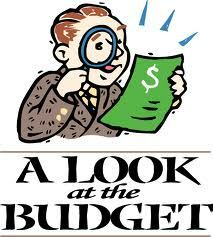 So the time has come once again for me to revise the budget. Every few months I take a look at my budget and see if any changes need to be made and I go ahead and tweak the budget if I need to. I was previously working on a year long rolling budget in Mint…although I don’t really know why since I have a rolling annual list in a Google docs spreadsheet anyway. I found that the rolling budget had gotten messed up because of Mint’s tendency to classify some things in certain ways. I would have to go and update a few of the ‘rules’ I had in classification and it was really throwing me off. I figured I would just go in and remove all the prior rolling amounts and just start them over since I needed to adjust the budget now. I have a new bill coming up in a few months and paying it would put me over my budget as it currently stands. Even though I don’t need to begin paying it until July I decided to adjust the budget now and reduce things like food and household expenses now.That way I have two months to get used to the reduced spending on those two areas before I actually HAVE to spend less. I also made a few other tweaks here and there and reduced a few categories by $10 or $20. The changes to the individual categories are not very high but the total does make a big difference to the total budget. I am on a VERY strict budget because of school and we don’t get paid very much so I really cannot afford to splurge and get carried away because I do need to pay tuition! Tuition payments for summer school are actually only a few days away and it will be a big drain to see that money come out of my account.